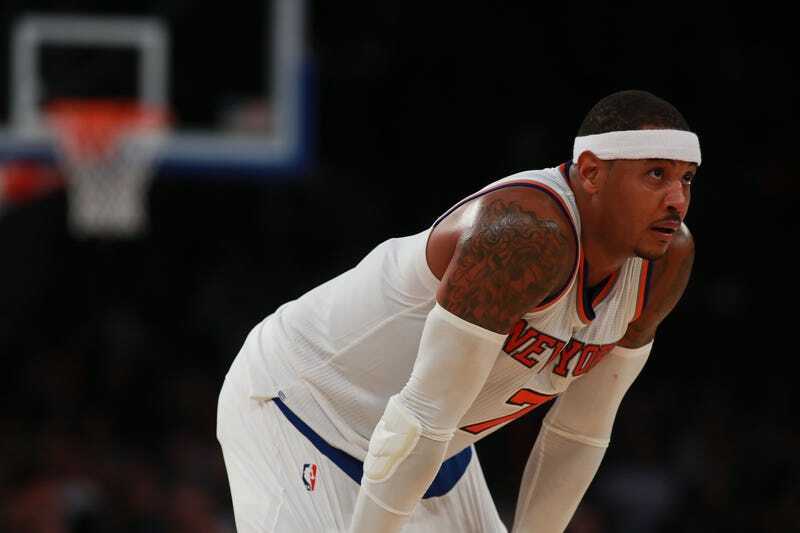 If you’re feeling a sense of cosmic upheaval, that everything around you is shifting, rest assured that the Knicks are still 3-6 on the season and that Carmelo Anthony is still marinating in quiet resentment. In this case, Anthony’s frustration looks to be justified. Look at the incident: Melo gets hit with a loose-ball foul, then another T for your usual post-call jawing, then a second T as he trails the official by a few feet, doing a little more of the same, but nothing beyond the pale. “The second one, I didn’t think it was coming at all. And I didn’t think he deserved it. Like, he was still talking in a low voice. Like, I ain’t get it. But I guess they have a history or something, and he was tired of it,” said Derrick Rose in a postgame interview. Anthony’s wife La La tweeted out awareness of Brothers’s beef before the game was even over. Melo had cooked up 12 points in 12 minutes on 5-8 shooting, but his ejection rattled the Knicks out of a reasonably competitive matchup, which they went on to lose 115-87. With 3:20 left in the fourth, backup point guard Brandon Jennings was also ejected for good measure. It’s a strange time in America, but the Knicks are still very much the Knicks.